World over, low-calorie artificial sweeteners and sugar substitutes have attracted the attention of worldwide populations for cutting down on calorie consumption. The reasons may be varied, any are may be interlinked. Industry search for low-calorie sweeteners have been of particular interest in reducing obesity and in the management of type 2 diabetes; both these have risen in incidence in developed and some developing nations. Sucralose has risen in popularity as a potentially attractive sweeteners, either to be consumed as standalone or in a wide variety of food and beverages products. Over the past few years, food products using sucralose has risen steadily. Sucralose has fared well as a sugar substitute in relation to its taste, texture, shelf-life, and safety profiles. The high-intensity of sweetness that sucralose has—about 600 times the natural sugar—makes it increasingly attractive in the food and beverages industry, especially in the baked good and beverages. The strides being witnesses by the global artificial sweetener industry is one of the key underpinnings of the rapid evolution of the sucralose market. Sucralose under different brands, most notably splenda, has spiked in consumption among adults, especially in the U.S. However, not every dynamic is favorable to the sucralose market. For instance, unlike the natural sweetener sucralose is bereft of essential nutrition. The only claim to rising popularity is perhaps is the low calorific value. Children and young adults consuming sucralose may thus be at significant health risks, contend some experts in various parts of the world. Increased disposable income among expanding base of urban population is stroking the food and beverage industry, but at the same time, obesity, diabetes, and heart diseases are becoming more ubiquitous than ever before. In these times, the demand for artificial sweeteners that can adequately match the taste buds of consumers with minimal quantity is being extended by the food manufacturers. Consequently, the demand for sucralose is on the rise, as this artificial sweetener is a strong sugar substitute that is about 320 to 1,000 times sweeter than sucrose. As the awareness regarding the benefits of this sugar alternative spreads, the demand in the global sucralose market is poised to increment at a notable compound annual growth rate (CAGR) during the forecast period of 2018 to 2028. 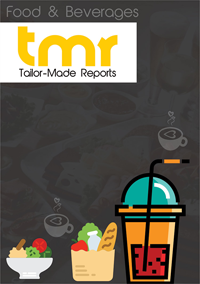 This business intelligence report on the sucralose market is a comprehensive assessment of the market’s current scenario as well as its figurative future prospects. The included chapters are on market introduction and executive summary, analysis of trends, drivers, and restraints, segmentations and geographical demand analysis, and competitive landscape. Overall, the report intended to aid as a business tool for its targeted audiences such as refinery owners, manufacturers and millers of sugar, farmers and raw material suppliers, commodity traders and distributors, and research organizations. Increasing demand for dairy and bakery products as well as beverages such as cold drinks and colas are the primary drivers of the sucralose market. The artificial sugar is not only exponentially sweeter than other alternatives, it also aids to high shelf-life of the manufactured food products. Sucralose is stable under heat and also has a broad range of pH conditions, which makes it ideal for baking. When compared with other low-calorie sweeteners, sucralose has better chemical stability, offers strong taste, and is safe. Sucralose has gained approvals for usage from a number of International and National food safety regulatory bodies including the Food and Drug Administration (FDA), European Union’s Scientific Committee on Food, and Canadian Diabetes Association. The FDA conducted more than 110 tests to adjudge the toxic effects of sucralose over human and animals and not adverse effects were detected. Sucralose is a no-calorie sweetener, which means it causes or assists dental cavities. This is a strong new opportunity for food and beverage producers to lure their younger customers. Sucralose ideally meets the requirements of children products such as candies, breakfast bars, and canned fruit juices and soft drinks. In addition to that, diabetic patients are opting for sucralose because it does not affect insulin levels. Some of the research studies have also stressed on the benefits of sucralose in terms of weight loss, although various others have countered that. On the back of radical rise of social media, consumers are now more informed and trying out new alternatives to traditional sugar. This report has explored the demand potential of sucralose across all regions and countries, with a solitary aspiration to highlight the territories that major players can expand into and make greater profits. Some of the countries studies under this report are India, China, the U.S., the U.K., France, Germany, Italy, Russia, Australia, New Zealand, Brazil, South Africa, Spain, and Poland. Currently, the U.S. is dominating the demand from North America, which continues to be the key region in terms of demand potential. Niutang, Eastern Food Chem Co. Ltd., Evolva Holding, JK Sucralose, Galam Ltd., Amalgamated Sugar. Co., Nutrasweet.Co, SaIngredion Inc., and Beckmann-Kenko GmbH are some of the notable companies currently ahead of the curve in this market.